In this blog, we are joining one of the most popular clubs at BWYA, the Lego Robotics Club, to find out what they’ve been up to. We first joined the Lego Robotics club in January of this year. 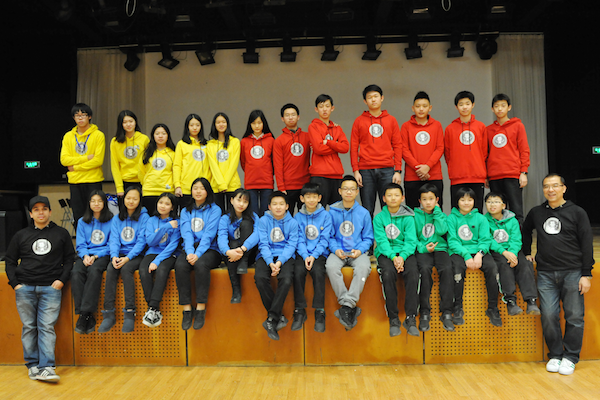 At that time, BWYA had four teams participating in the ACAMIS Northern Region Qualifiers. 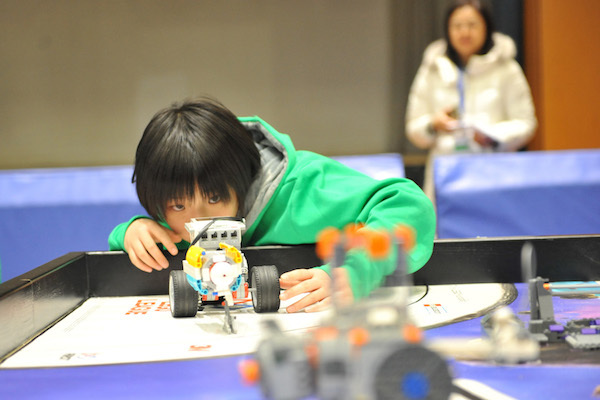 The competition was incredibly tight, particularly for the ‘Robot Game’ session – every team has to finish as many tasks as possible, in a very short space of time. However, after many hours of training, the students were calm and collected; from unloading parts to swapping robots, everything was smooth and fast. Hard work pays off though, and the final results from the qualifiers were a real encouragement – achieving top results across the board. ‘Robot Design and Programming’ – first place; ‘Robot Game’ – second place; ‘Core Values – second place; ‘Research Project’ – third place; and in the overall championship placing second and fourth, with two teams successfully selected to advance to the national championship. Asked about the club’s usual activities, Grade 9 student Kelly Yang told us, “In fact, most of our activities are centered around the competition. Mr. Danny Yu shares a lot of learning resources with us, such as the EV3 guide [a Lego Robotics Guide], and helps us learn how to use them well. Although he doesn’t always show us exactly what to do, we also have a lot of space and freedom to figure out things on our own. Obviously, during the actual competitions, the coaches aren’t allowed to help.” During the competition, Kelly presented the team’s research project, speaking fluently and clearly on the topic. At the eventual national championship though, Adam’s team fought very well, with their teamwork and cooperation earning them third places in both robot design and programming, from amongst 28 teams from all of China. Tenth grade Franklin Xiong also used to be a club member. Even though he has left the club now, he is still very happy to share with us stories from his time with Lego Robotics. Franklin’s most memorable moment comes from the Shanghai American School FLL English Tournament, held in Shanghai last January. Although it was BWYA’s first competition, the students managed to win the ‘Rookie Star’ award, as the best new team. “When we received the trophy, it felt like all the hard work we’d put in was worthwhile”, he shared with us full of pride and joy in the club’s previous achievement. Since starting in 2013, the club has now had six spring and autumn seasons. With new members joining as the older ones leave though, the experience and learning are unbroken, going from strength to strength. When Rain first joined the club, he wasn’t very confident, but in his own words told us he, “loves drilling bull horns [a Chinese chengyu about studying difficult problems]”. Busy with robotics jobs, when one method doesn’t work, another will be found, even if it takes a few days. The learning and growth aren’t merely limited to the teachers and students individually though but also affects student to student interactions. As German philosopher Karl Jaspers said, “Education is a tree shaking another tree, a cloud driving another cloud, a soul awakening another soul.” So as the students continue their educational journey, it is possible for them to become that tree, or cloud, or soul. In fact, these learning experiences and opportunities are everywhere. So how do we raise a new generation of young people that are even better prepared to meet and create the future that will ultimately belong to them? The answer is in our hands. Cherishing every opportunity to understand and learn from one another, since these opportunities are the starting point for development. Wanted: Kids to Enjoy Flea Market, Coding Camp, and Burgers!